NO GOOD HAIR, NO OUTING. MY HAIR COMES FIRST. Hv.. Let's meet you. 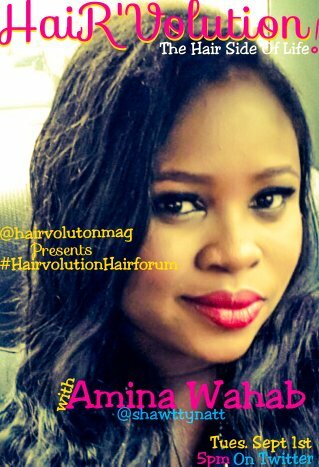 Who is Amina adebukola Wahab? Shawtty... Amina Adebukola Wahab is a Social media Strategist, an author ,a wife and a mother. Hv.. how did you get that name #shawttynatt? Hv.. So @shawttynatt literally means beautiful Aminat..
Can't deny that I'm beautiful. Shawttynatt.. There is a huge difference... Bukola is the lady behind shawttynatt, Shawttynatt is the Brand. Hv.. let's get down 2 business, what does hair mean to you? Shawttynatt.. Hair is the integral part of a woman... Can't be trampled with or ignored. Hv.. On a scale of 1-10, how much do you like hair? Hv.. Really! Can you ever go bald? *tongue in cheek*. Tell us about your natural hair, how long, any peculiar characteristics?. Hv.. How long, waistline, shoulderlength? Shawttynatt.. Waistline, I wish... Neck length. Hv.. Congratulations once again on your little angel. Can we talk about her hair, do you think she takes after you or your hubby when it comes to her hair. Shawttynatt.. I didn't get this please. Shawttynatt.. Her daddy's hair, Locks(awuru). Hv.. Mention 5hairstyles you rocked as a teenager? Shawttynatt.. skull cap, Anita baker (tinted in gold), braids, low cut in wine , side parted long weaves. Hv.. Which was ur favourite? Shawttynatt.. I liked the Anita baker, it gave me that gangster look, especially coz it was always in gold. Hv.. What! You must love colours. Which colour would u never rock? Shawttynatt.. I can rock all colors.... Not restricted to any. Hv.. what's ur hair routine, how regularly do you visit the salon? Shawttynatt.. Depends on the hair am wearing. Fix my weaves, every weekend, braids 3 weeks max. Hv.. have you ever had a hair mishap? Tell us about it. Shawttynatt.. 11 years ago, I fixed my hair myself, I ended up fixing the short in front, and long at the back. Shawttynatt.. Short hair fixing... Away from the long necky weaves. Hv.. what has hair taught you? 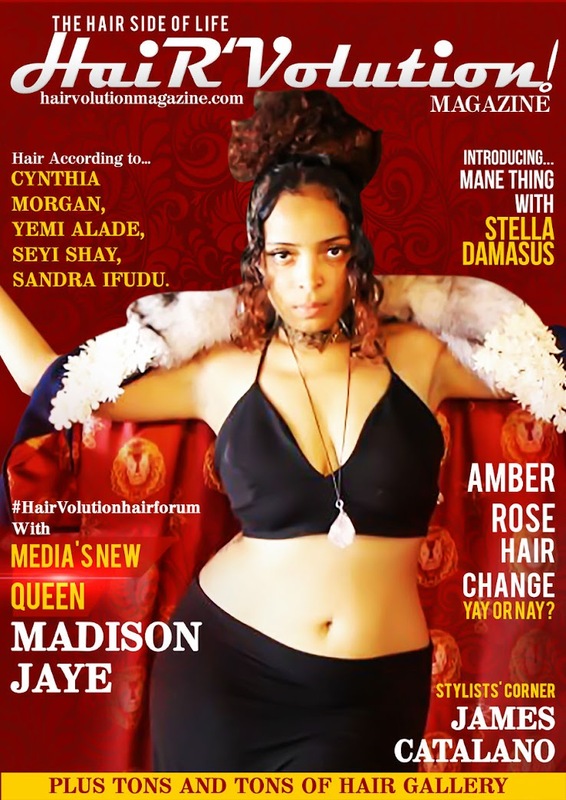 Hv.. what do you think about the hair industry in Nigeria? Shawttynatt.. 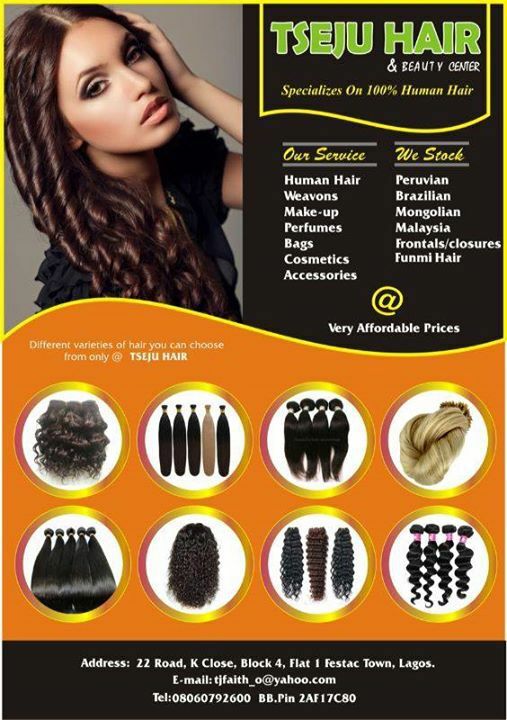 Hair industry in Nigeria is here to stay, except for some part of the country though. Hv.. Give us 3 tips to save us from bad hair days? Shawttynatt.. Shampoo regularly, move from dull to shine, keep it trimmed. Hv.. who makes your hair? Shawttynatt.. her name is just Chichi.... One of the best in Warri here. Shawttynatt.. She's the best for me. Hv.. mention 3 hairstyles you'll never take home to mama? Shawttynatt...I don't think there is any, if I love it, mama loves it. Hv.. lol. Chikenna! Describe your hair lifestyle, how major is the role of hair in your preparation for an outing? Shawttynatt.. My hair comes first, no good hair, no outing. Hv.. do you have any hair predictions for 2016, what hairstyles do you think will reign next year? Shawttynatt.. There are no major new styles, it's old styles revolving in a new style. It's still gonna be the same in a different way. Hv.. Are you a big fan of #humanhair? Hv.. Finally, stranded on an island, what hair product or tool would you not want to do without? Shawttynatt..Hair moisturizer and a comb. Hv.. Thank you @shawttynatt for being part of today's #hairvolutionhairforum. We really enjoyed having you. Shawttynatt..I'm more thankful, can I come again? Hv.. Of course! Theres always so much more to the #hairSideofLife.